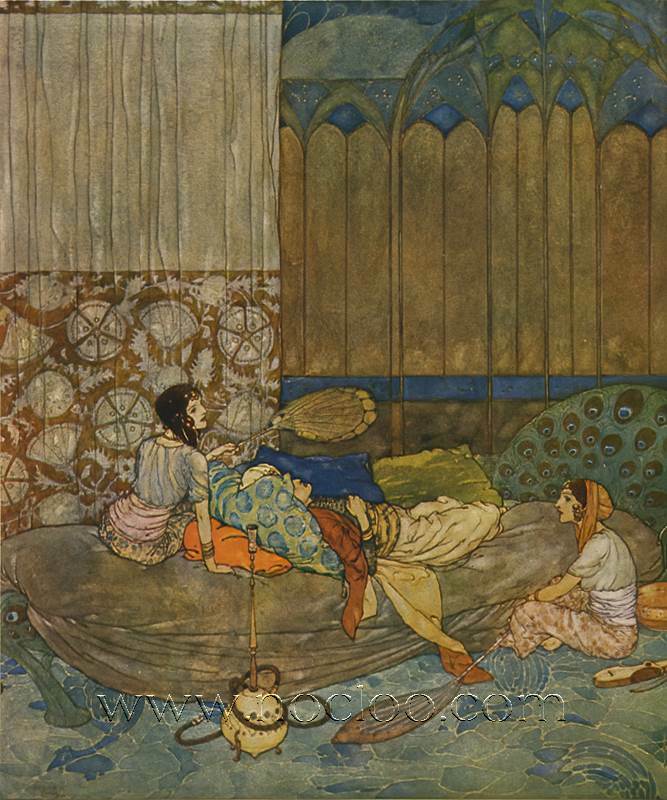 Edmund was a prolific illustrator and designer. 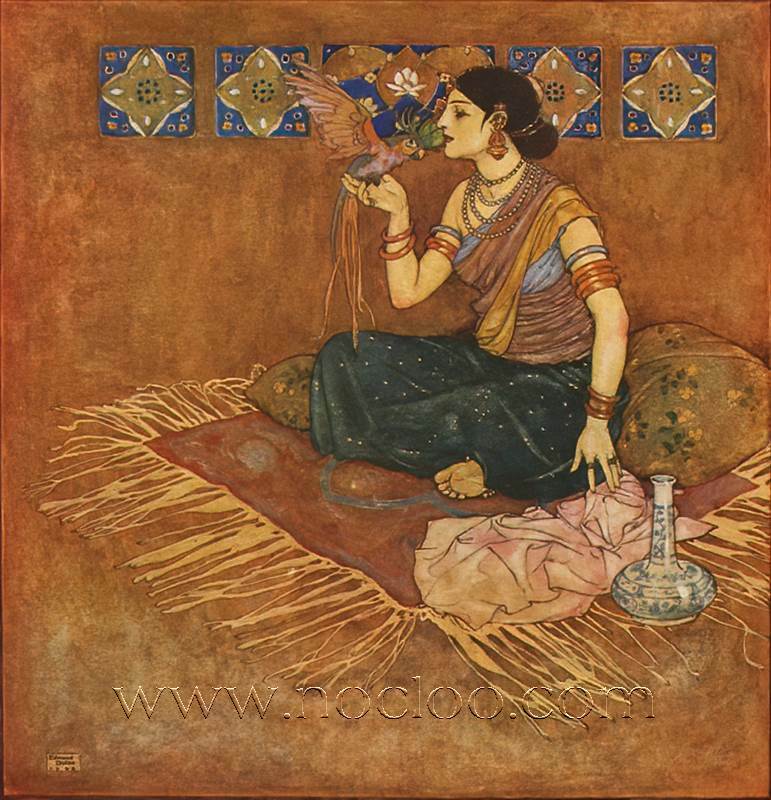 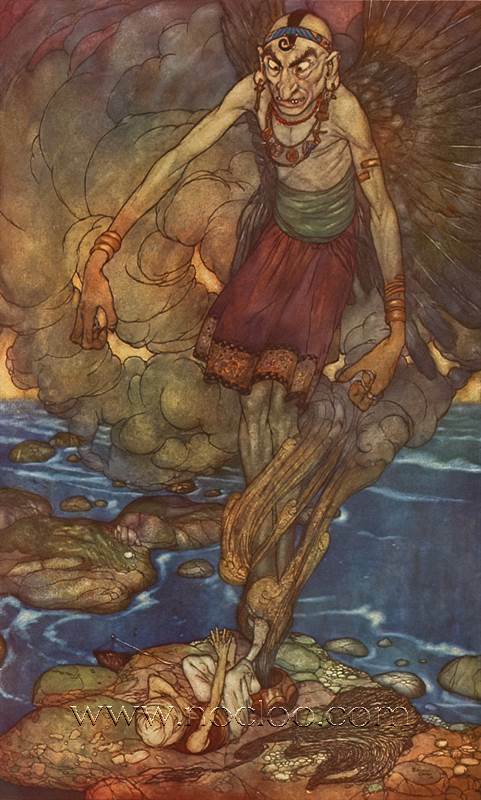 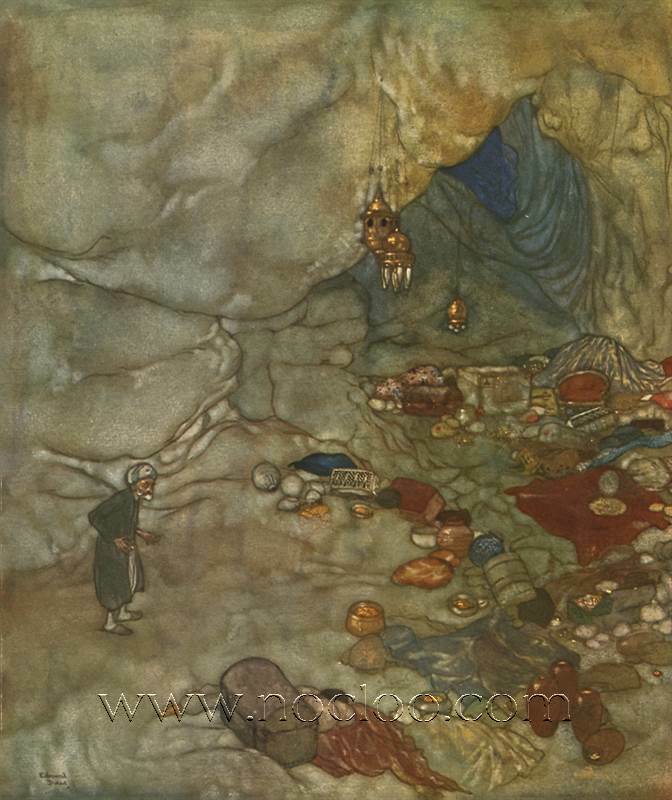 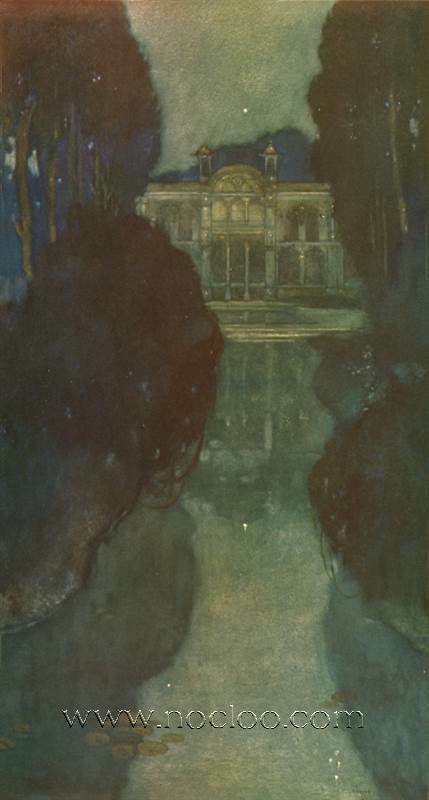 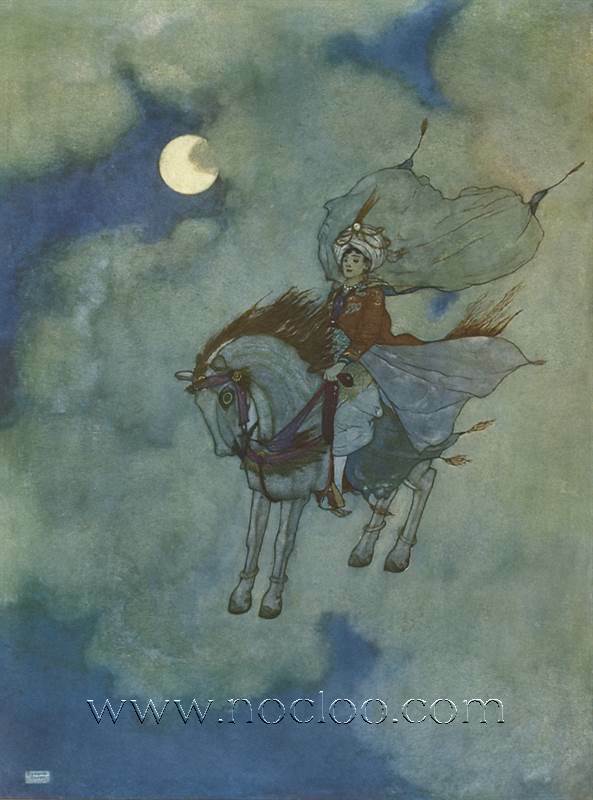 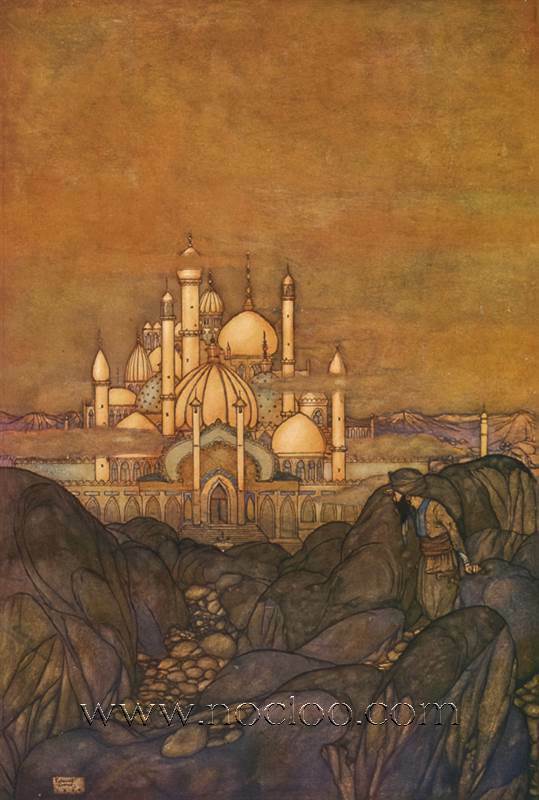 His works include Stories from The Arabian Nights (1907) with 50 colour plates; an edition of William Shakespeare’s The Tempest (1908) with 40 colour illustrations; The Rubaiyat of Omar Khayyam (1909) with 20 colour plates; The Sleeping Beauty and Other Fairy Tales (1910); Stories from Hans Christian Andersen (1911); The Bells and Other Poems by Edgar Allan Poe (1912) with 28 colour plates and many monotone illustrations, Princess Badoura (1913) and many others. 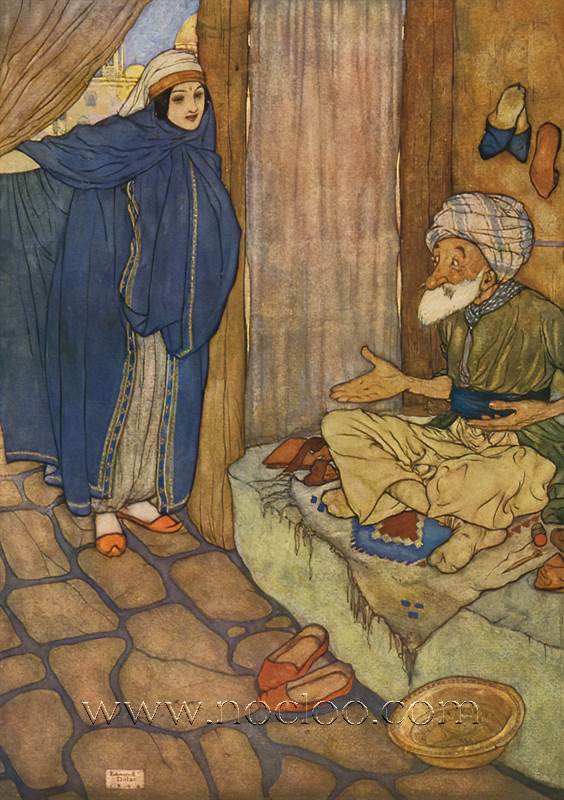 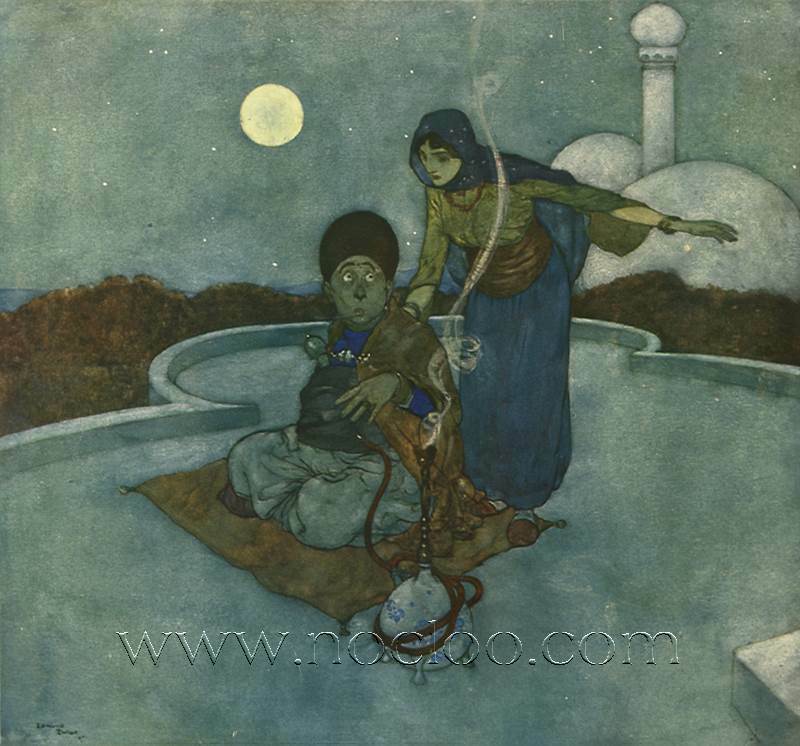 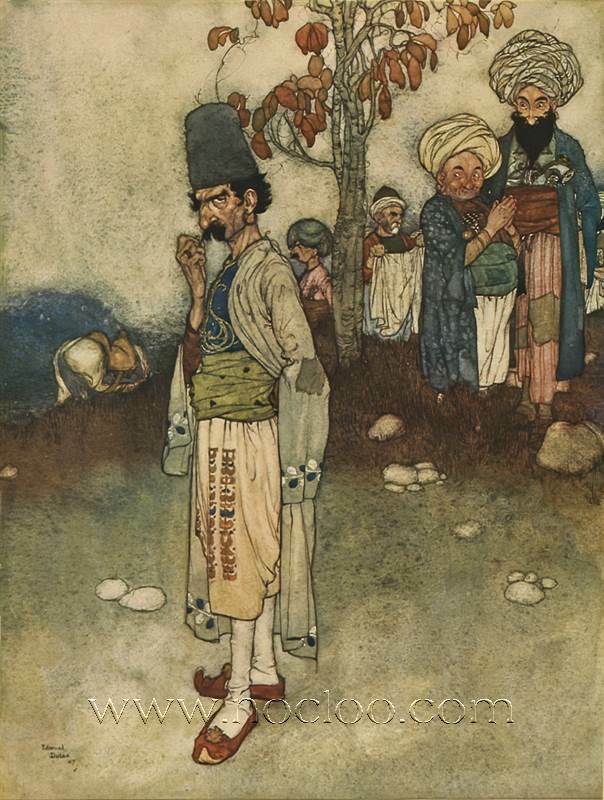 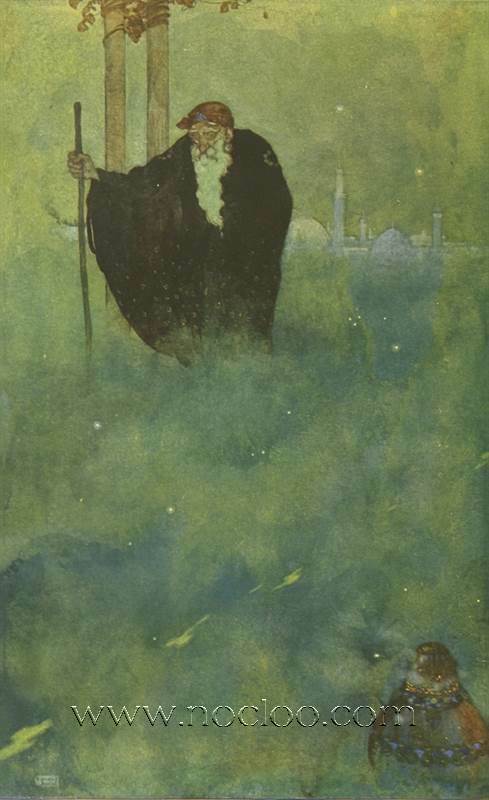 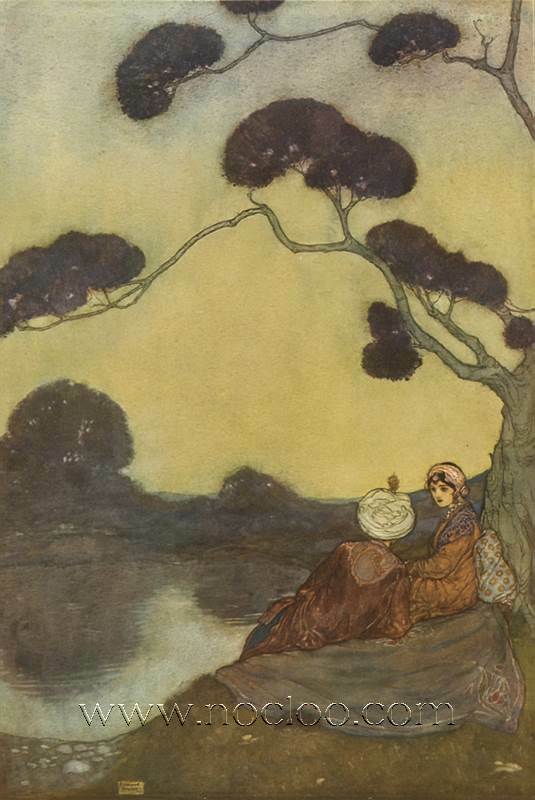 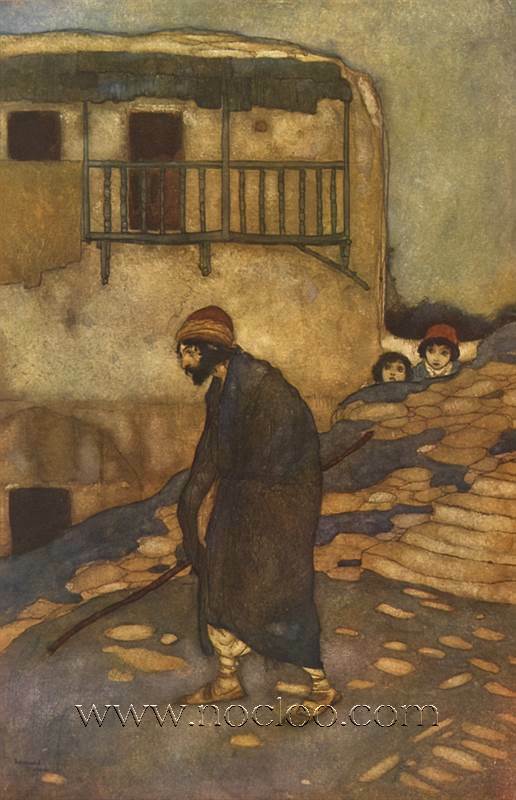 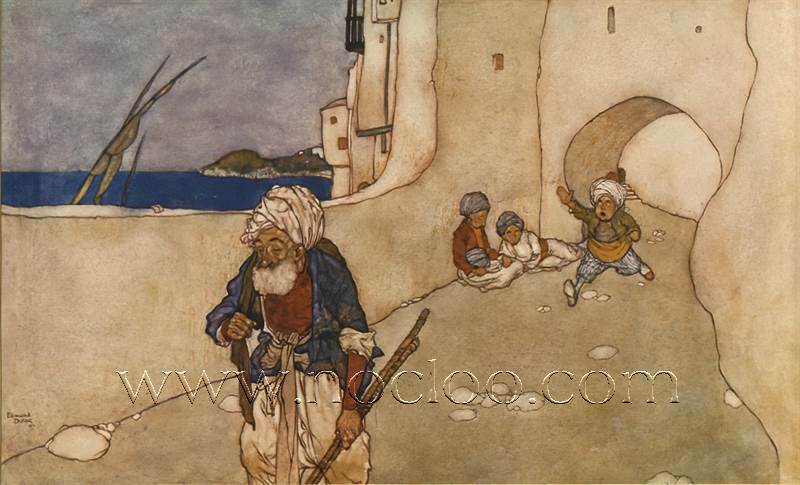 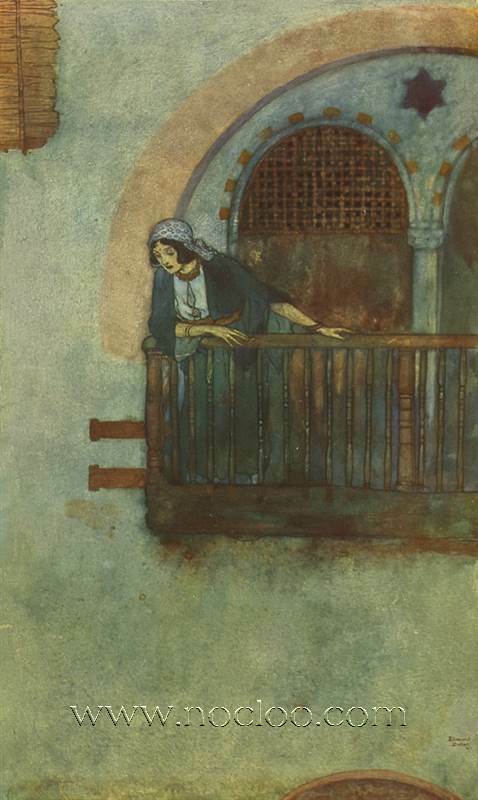 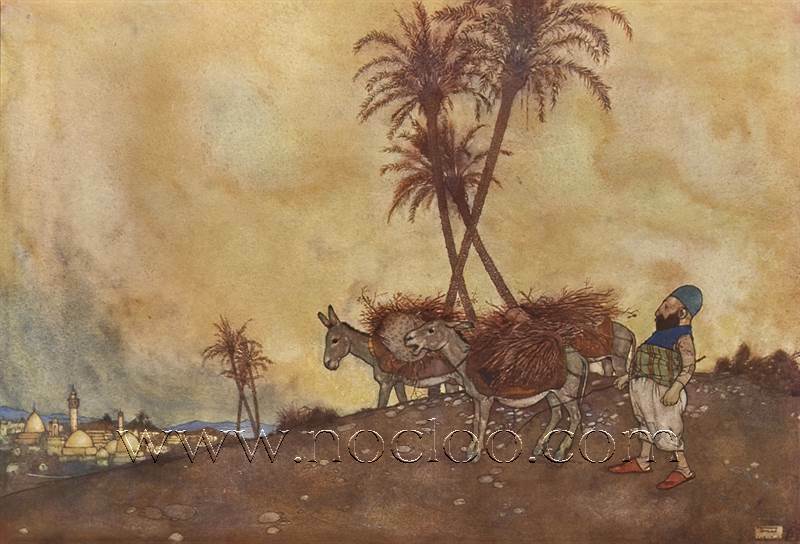 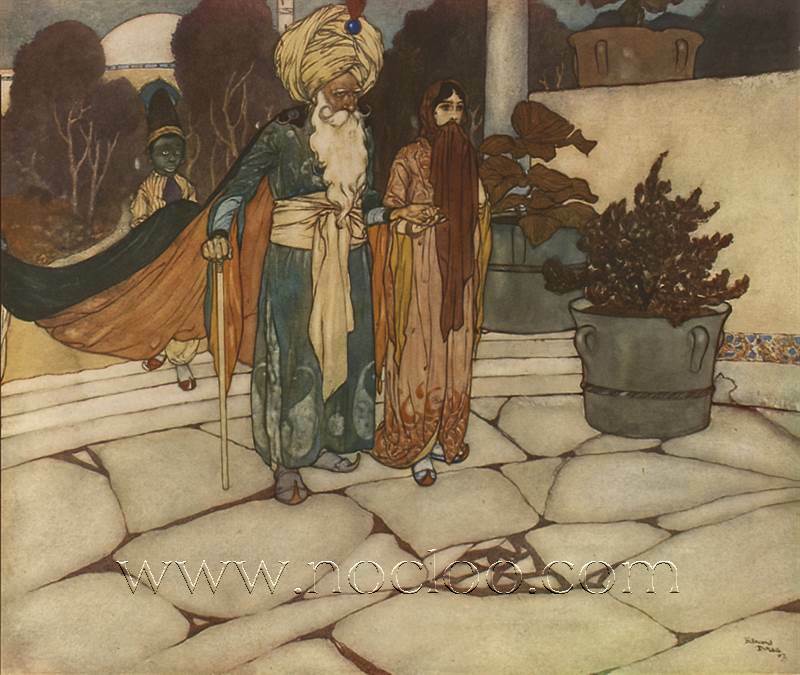 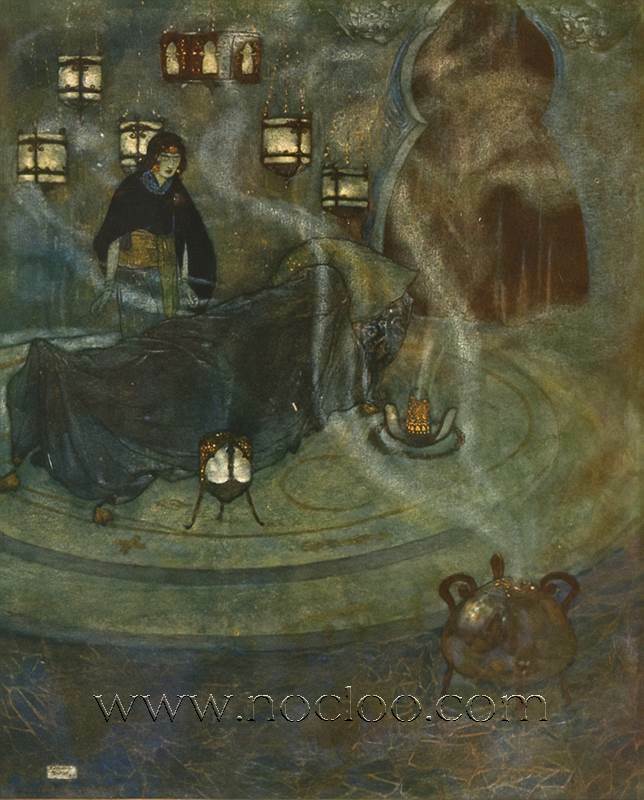 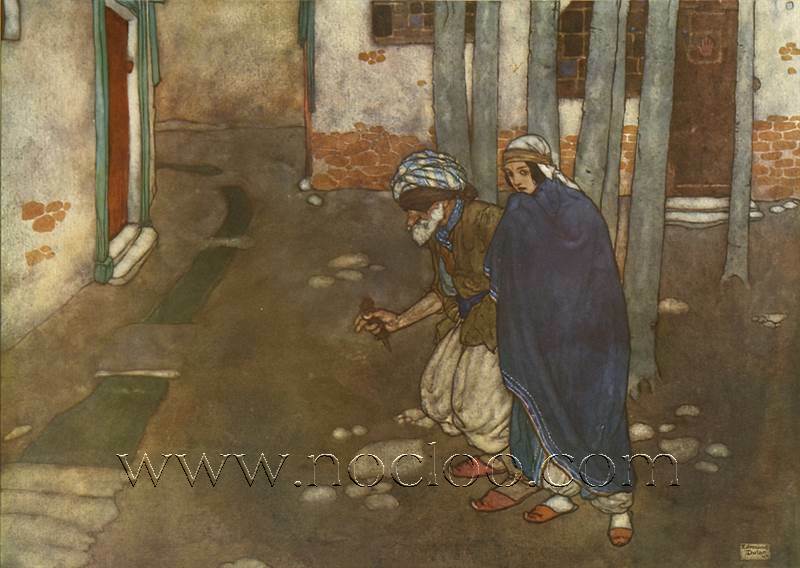 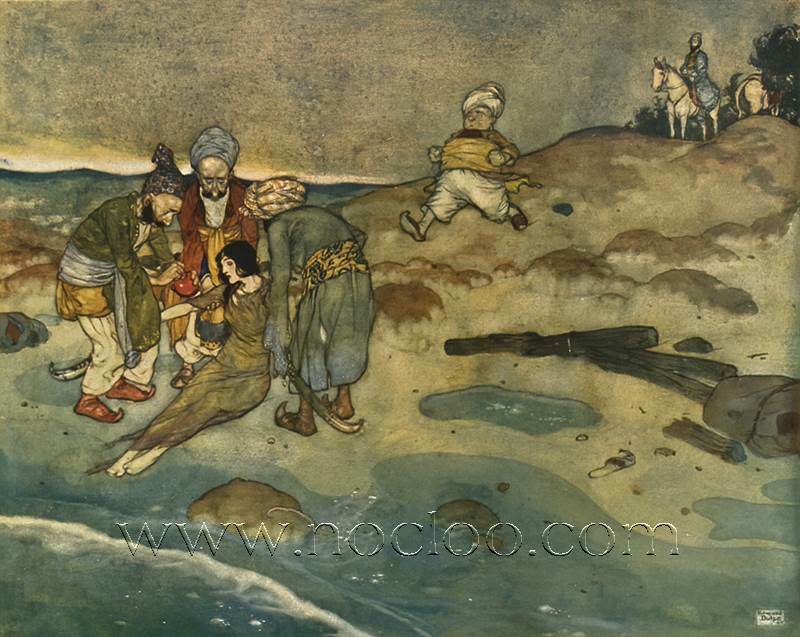 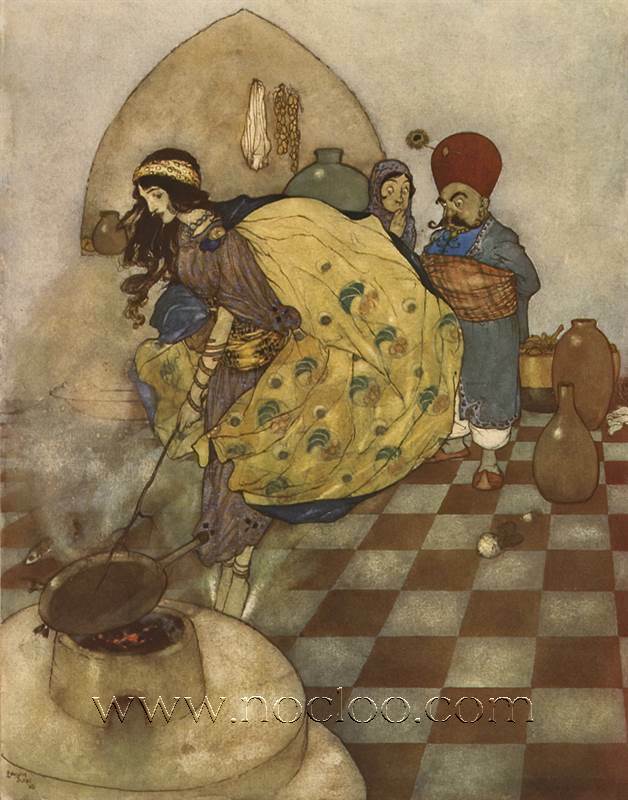 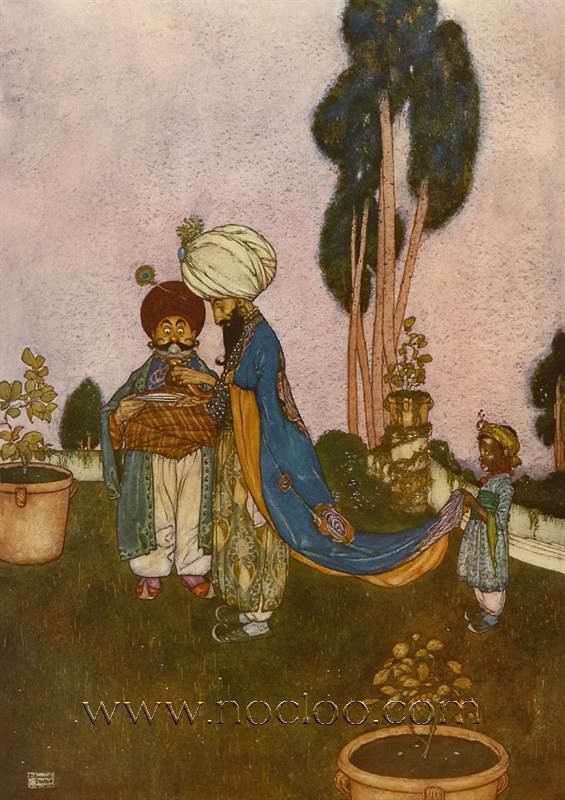 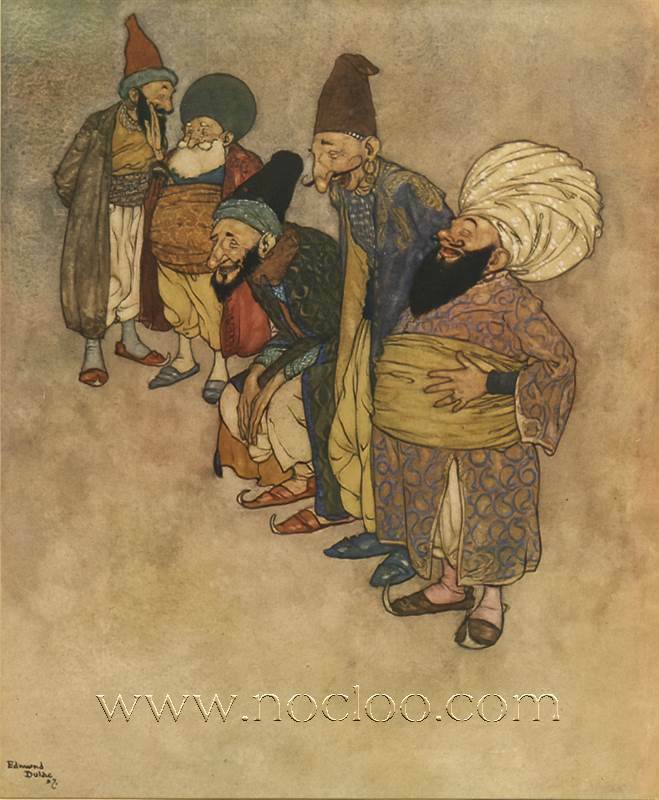 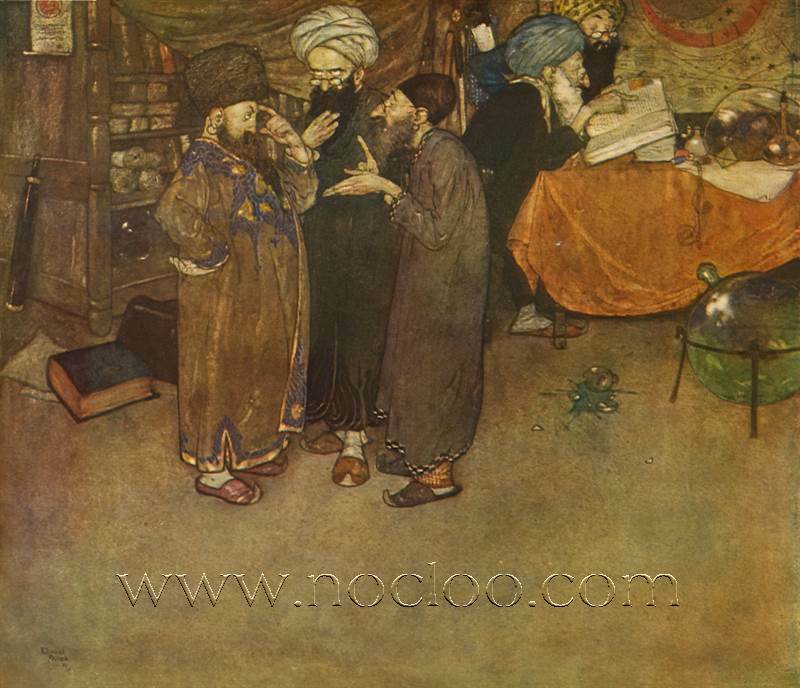 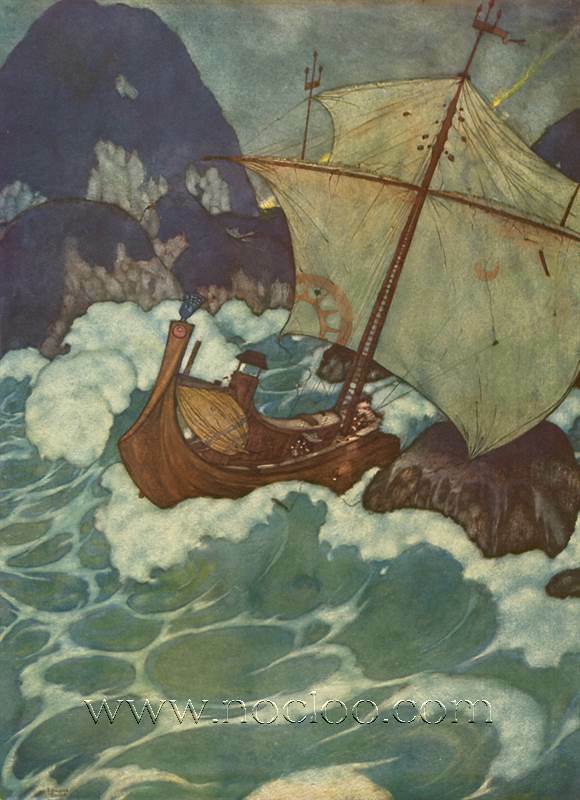 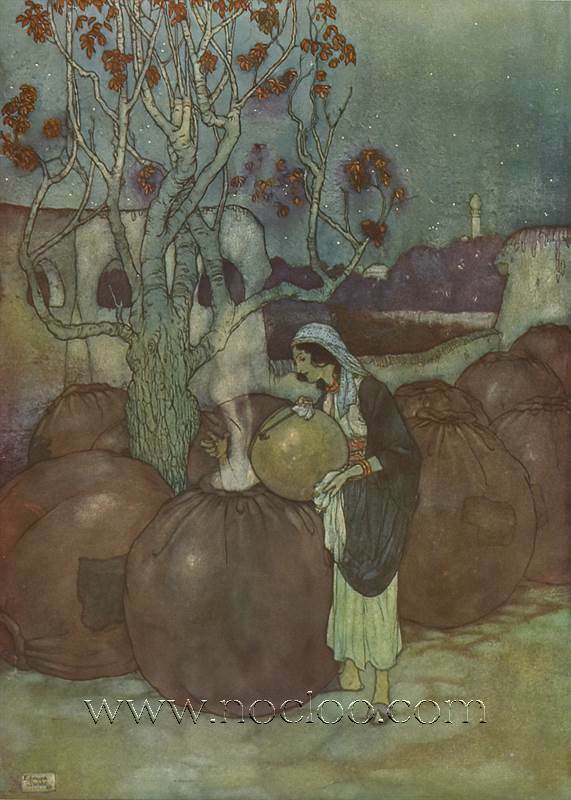 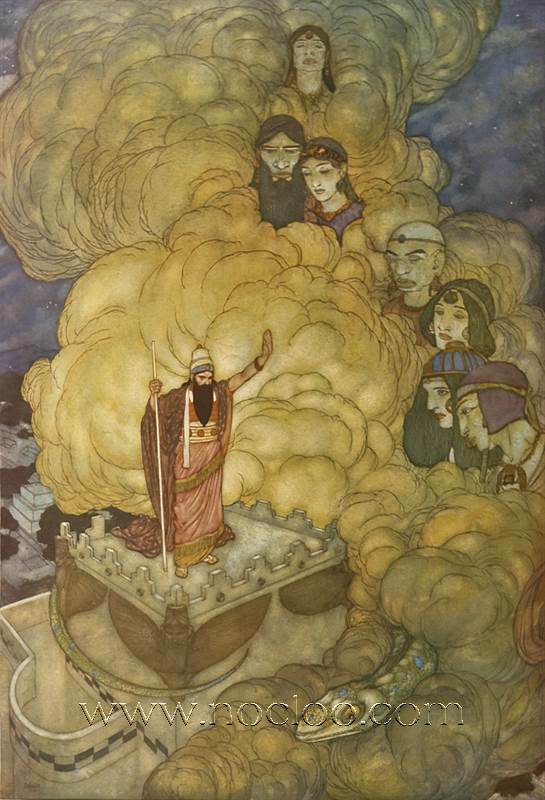 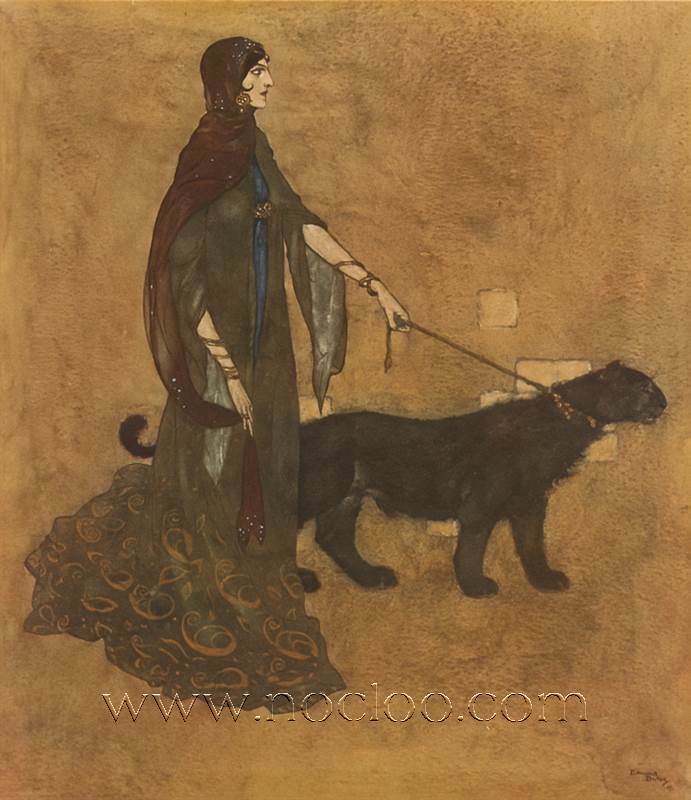 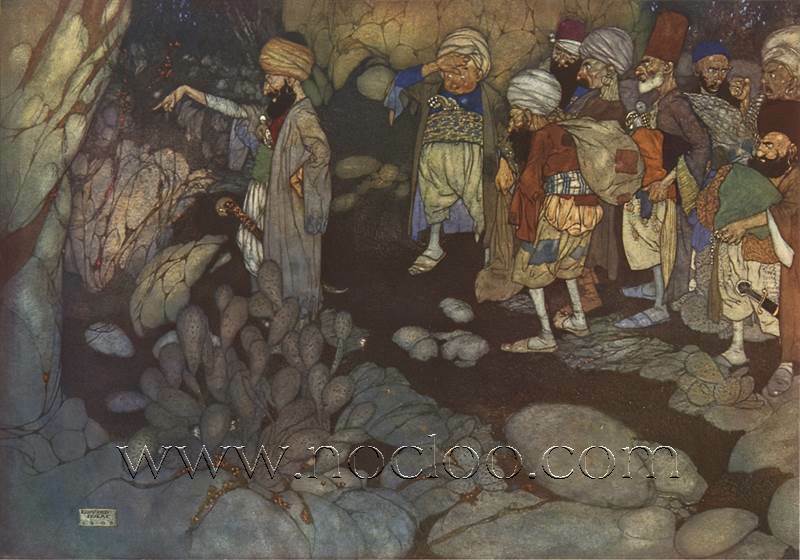 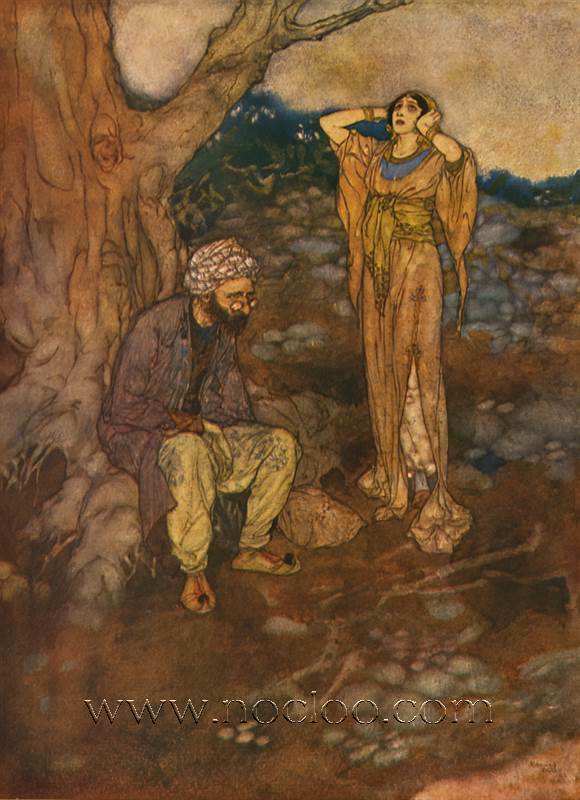 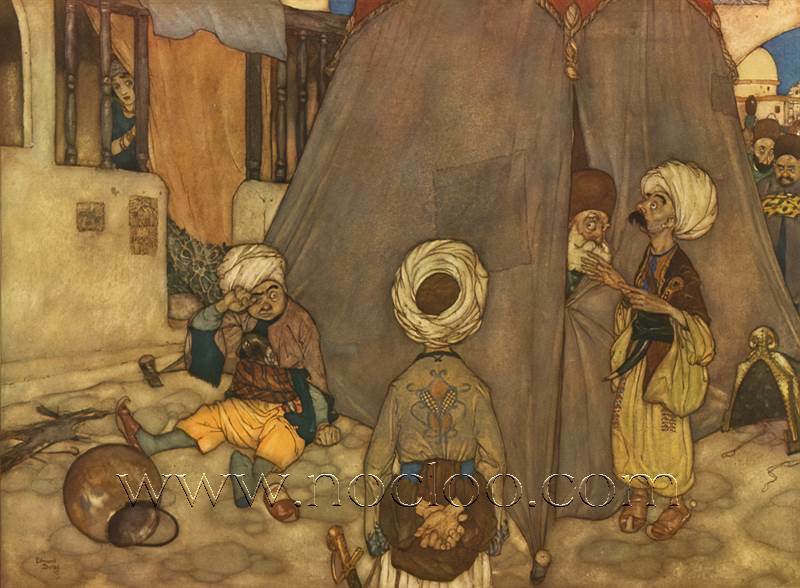 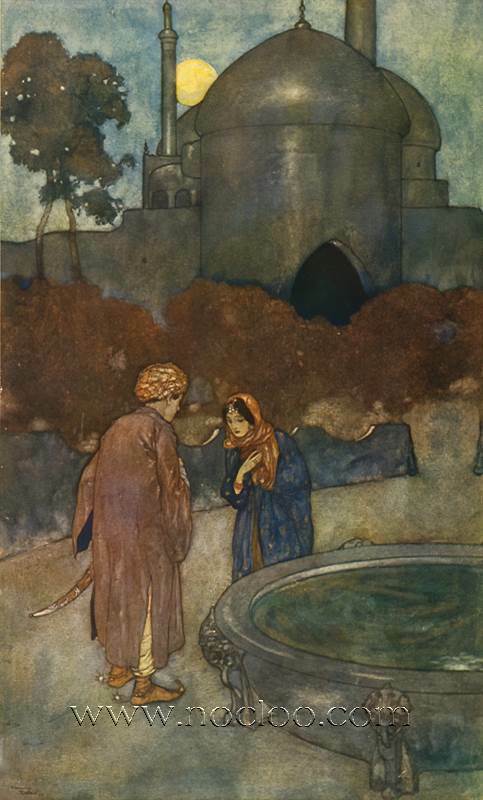 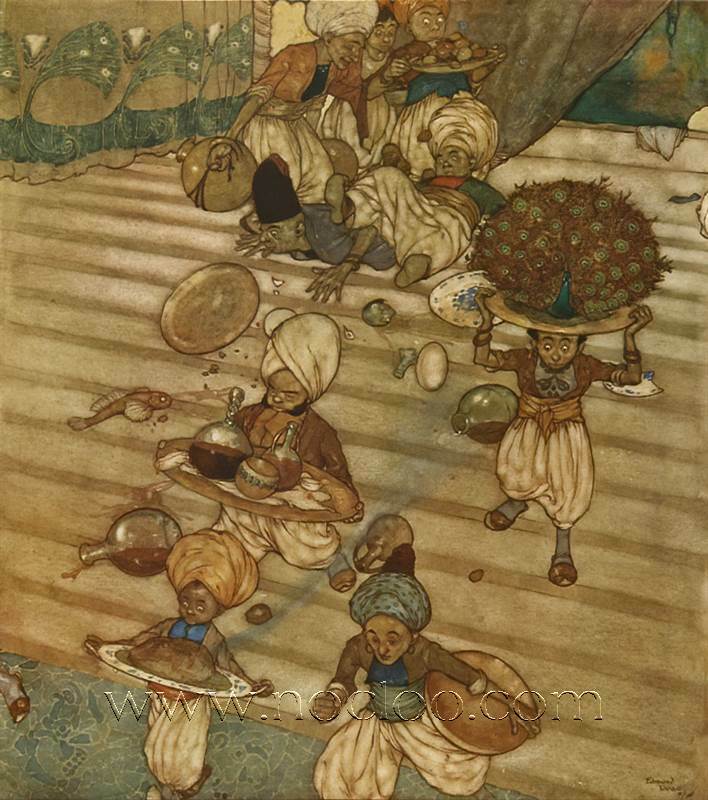 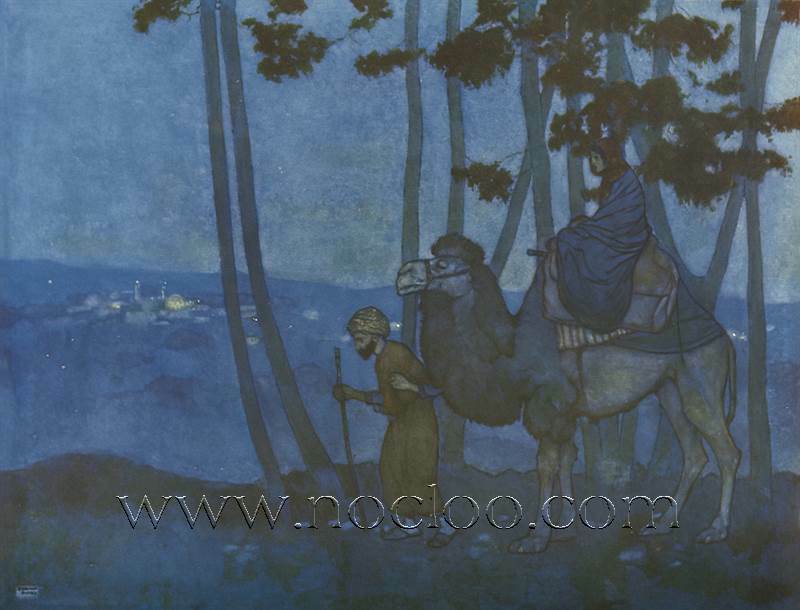 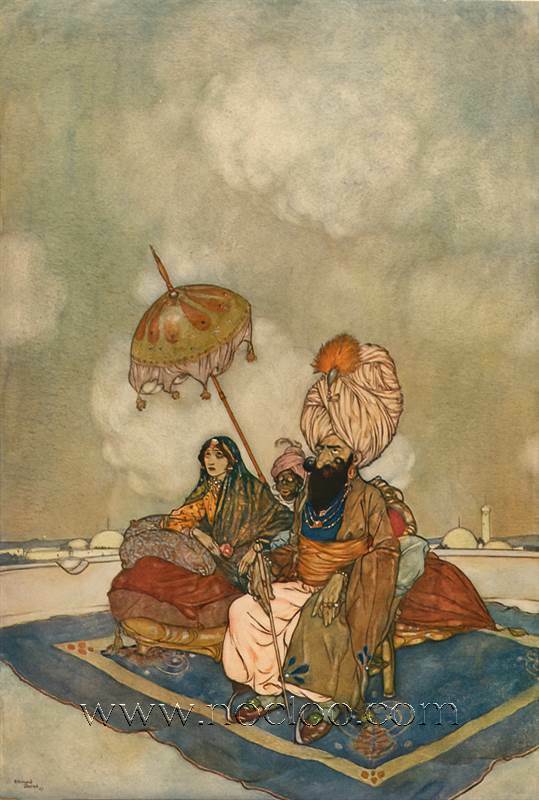 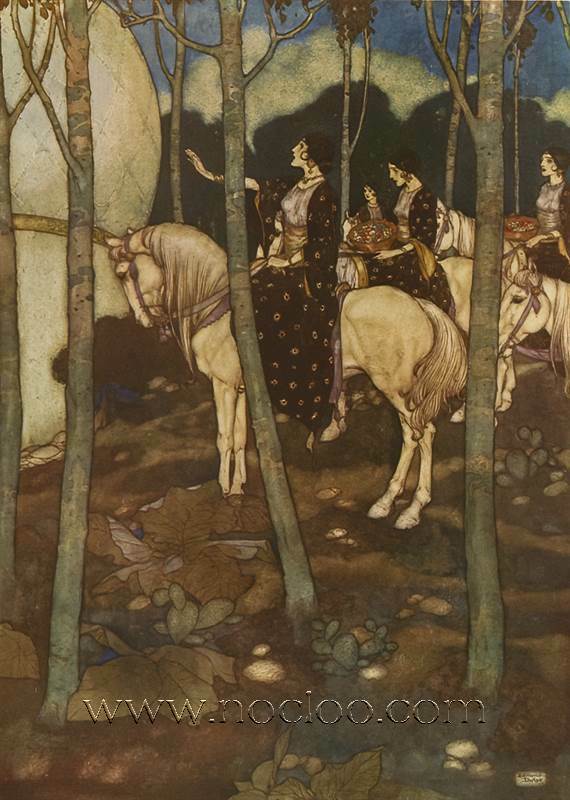 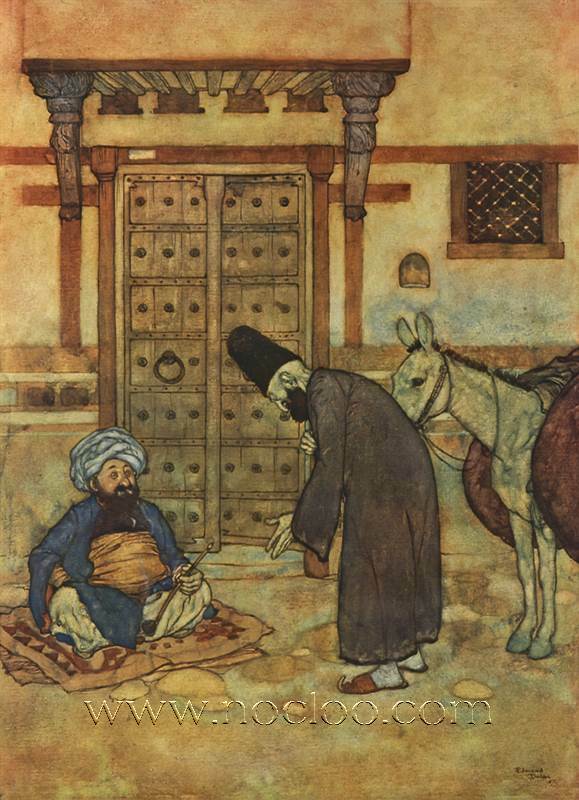 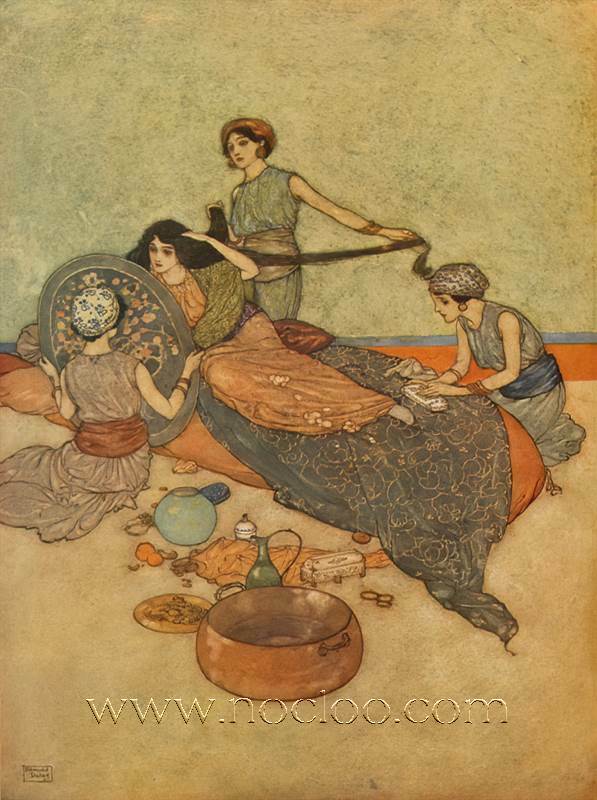 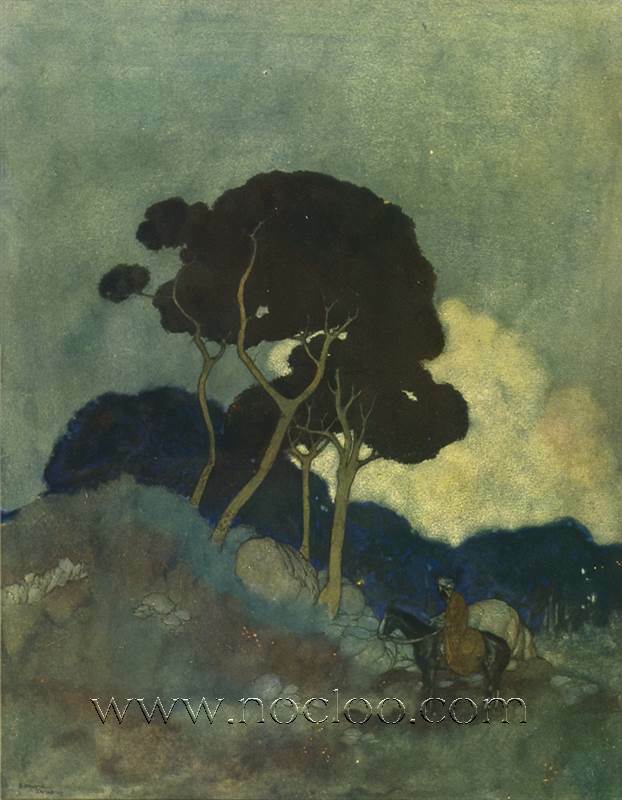 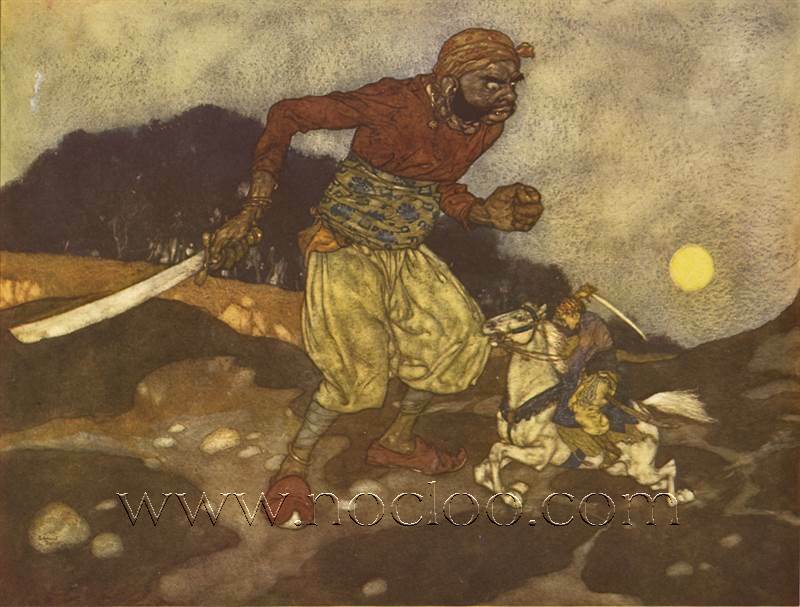 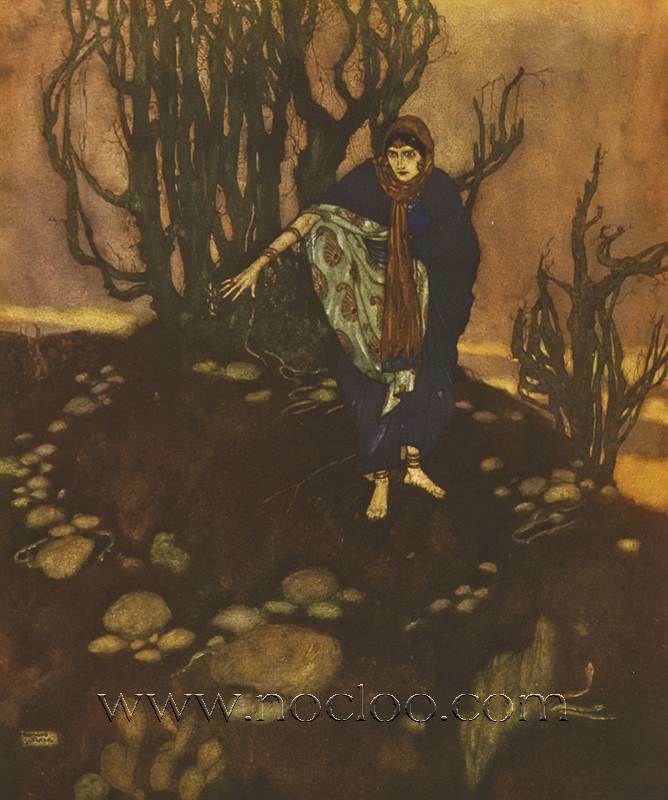 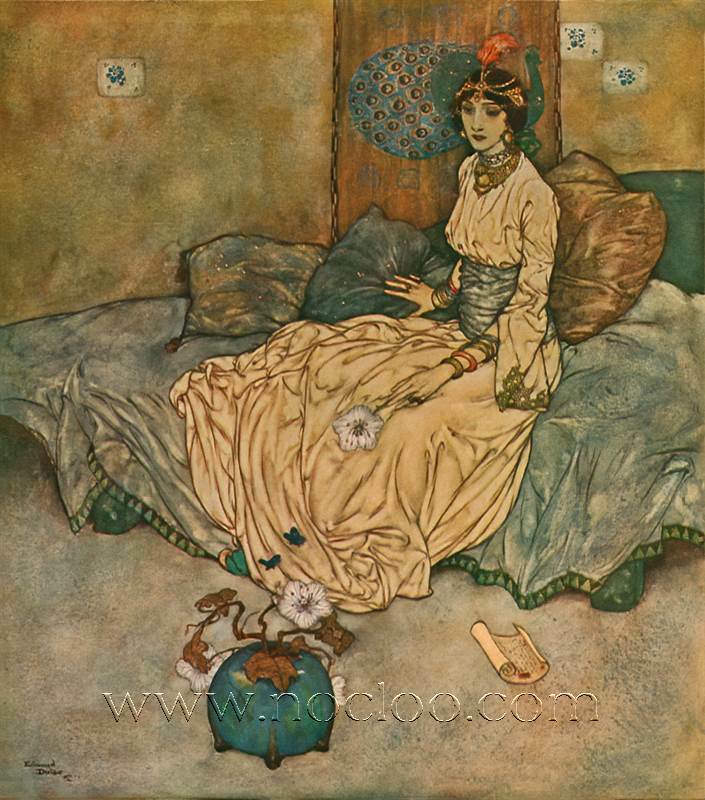 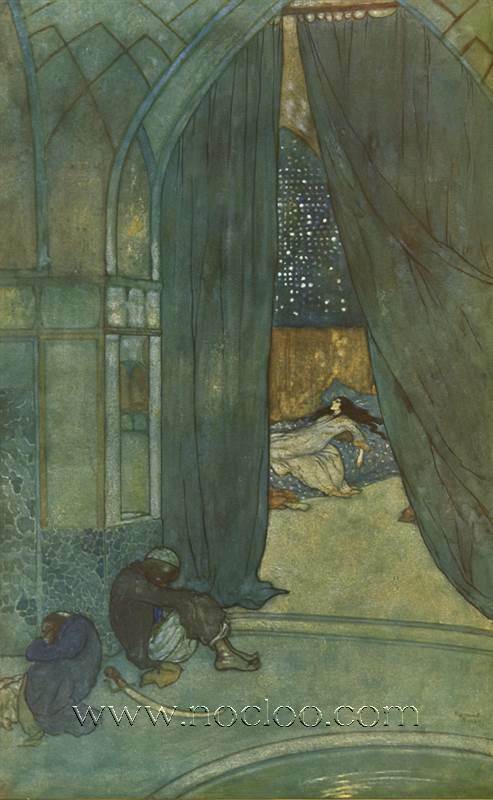 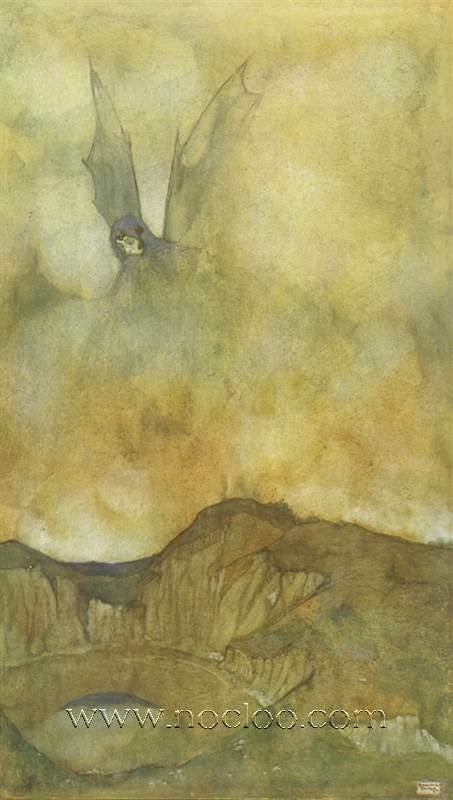 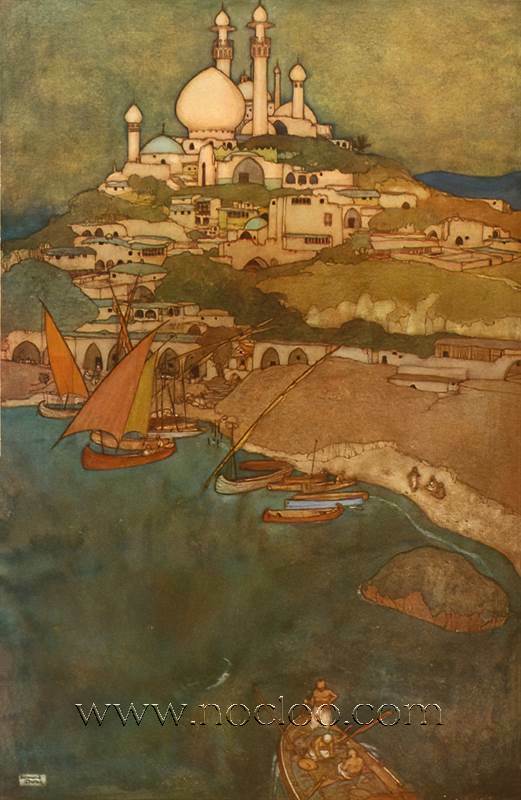 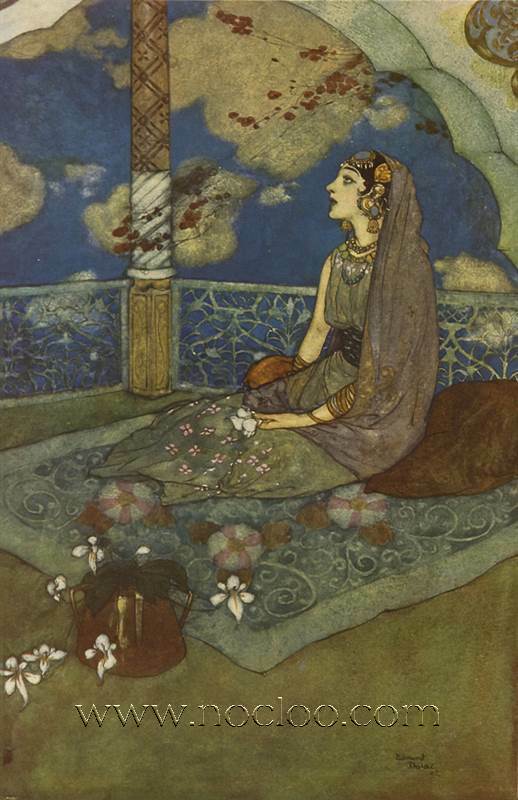 Here are new scans from the First edition of Arabian Nights published by Hodder in 1906, illustrated by Edmund Dulac . 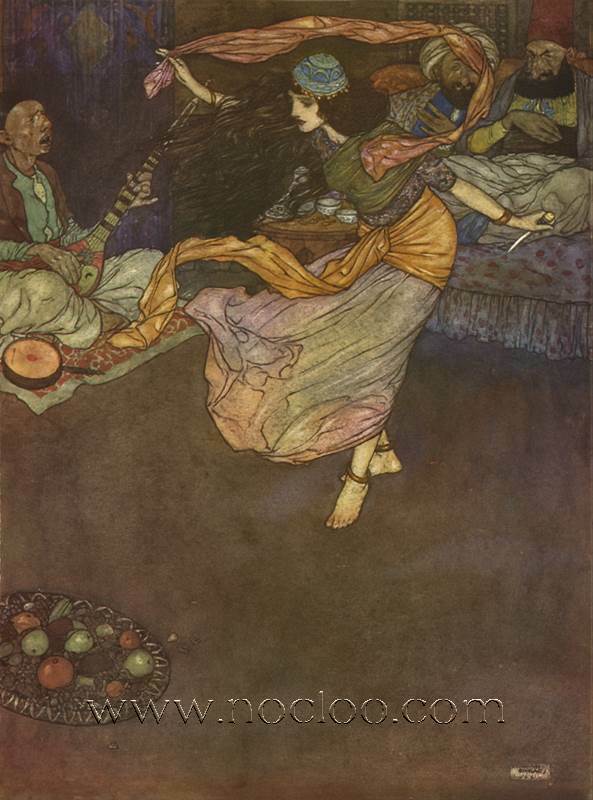 Together with E.J. 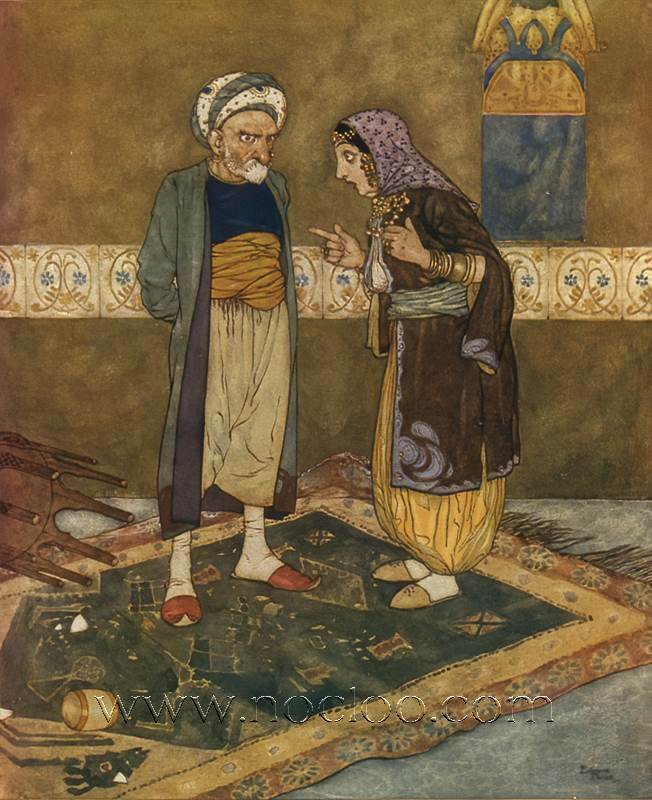 Detmold, two of the most beautiful Arabian book ever published.